It is a rare event when two people who will grow up to change the world are born on the same day, but today, February 12, is the birthday of two such men. One was a consummate politician who freed millions of people, and the other was a scientist who revolutionized the way we look at life. Abraham Lincoln and Charles Darwin are giants whose names will endure as long as a semblance of civilization remains. Both were born February 12, 1809, Charles Robert Darwin in Shrewsbury, western England near the Welsh border, the son of a society couple, his father Robert a doctor and mother Susannah of Wedgwood pottery family fame. Abraham Lincoln was born into a poor family on the Kentucky frontier, as rumor would have it, in a log cabin with three sides. Both of their mothers died while they were young, but beyond that they had little in common except innate intelligence and a drive to excel. Charles Darwin’s research, voyages and writings, especially “On the Origin of Species,” pioneered a movement that rewrote the way mankind looked at the world. And despite the many naysayers including the famous Scopes trial opponent William Jennings Bryan, his theories and principles of evolution and natural selection came to dominate science, if not the world. 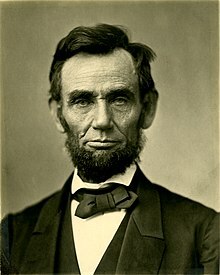 Abraham Lincoln remains to this day the Great Emancipator, arguably the most prominent and revered figure in the American Presidential Pantheon. 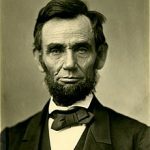 His leadership in the War Between The States, that became known as the American Civil War, resulted in the end of a cruel and unjust system of slavery, freedom for millions and a major, if painful, redirection of the American union. In 1865, at age 56, Mr. Lincoln received an assassin’s bullet as a reward for his vision, dedicated efforts and political skills. 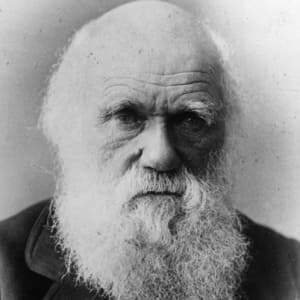 Mr. Darwin lived until 1882, passing at age 73, and is buried in Westminster Abbey. These men, born on the same day, in the same year, on two different sides of the Atlantic Ocean, reshaped the world they lived in, as well as the world we live in today.